Prairie Doc® Radio is a 30-minute live radio show on KBRK AM in Brookings, S.D. 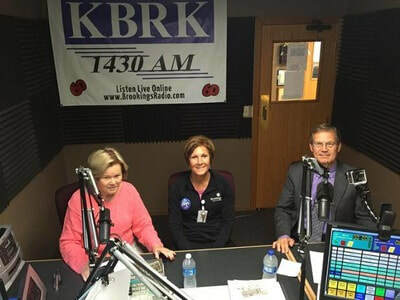 Dr. Holm and his guests offer medical information and callers across the listening area ask questions about health and wellness topics. In addition, two-minute audio messages called Prairie Doc® Conversations offer medical tips. These radio programs are available as SoundCloud podcasts. Prairie Doc® Radio half hour program. ​Listen online to Prairie Doc® Conversations. Check out some of the fantastic guests we've had on our radio show!